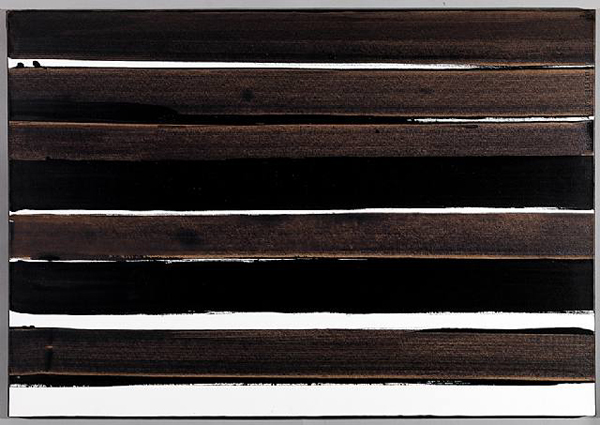 In 1979 after three decades as an internationally successful artist, Soulages embarked upon a new type of painting. 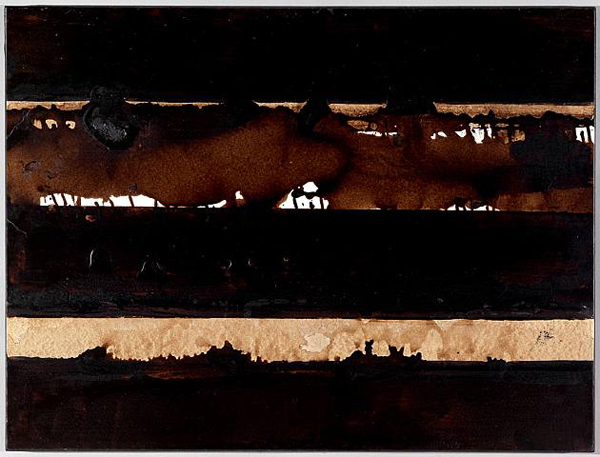 Having always been interested in light he began to make paintings which were totally black. 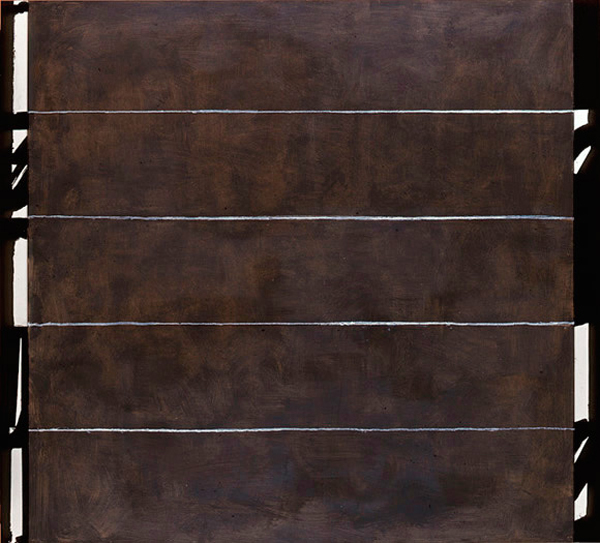 These new works he described as Outre Noir (beyond black). 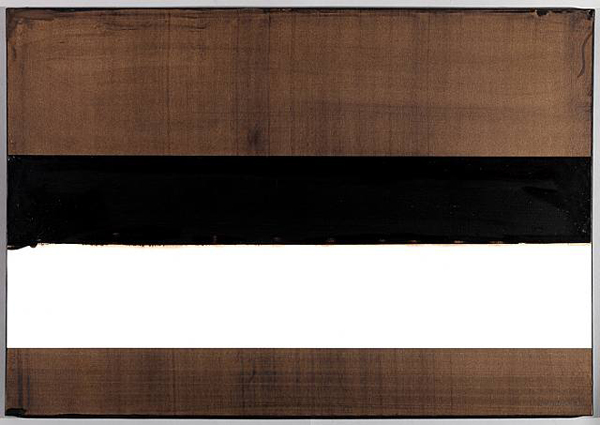 With contrasting areas of matt and gloss paint and ridges and gashes across their surface, these paintings draw focus on light’s reflection – changing with the light conditions and with the position of the viewer in front of the painting.